If you’re interested in playing team tennis, North Oxford is the place to be! We have a large number of Mens, Ladies and mixed teams of varying standards which compete in the local Oxfordshire leagues. There is a weekly Match Practice for team players on a Tuesday evening beginning at 6.30pm all year round. Team captains sometimes arrange practice sessions at other times too. At match practice the aim is for teams to play together in squads. There is also a fair amount of mixing between the teams. 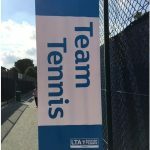 If you’re a prospective or new member and you’re interested in playing team tennis, please come down on a Tuesday evening for Match Practice. Make yourself known to one of the team captains and we’ll make sure you get to play some tennis at a suitable level. Please bear with us while we work out what that level is. For any queries about matches, please contact the team captain first. If that doesn’t work, please contact the club fixtures secretary. Our Mens club captain is Dave Rooney. In the summer we have 7 Mens teams in the Oxfordshire league. In the winter we have 5 mens teams in the Oxfordshire league. Mens A – Mark Wallace. Mens B – Dave Rooney. Mens C – Tim Ault / Tom Marshall. Mens D – Mike Thomas. Mens E – Steve Smith. Mens F – Steve Weitzel. Mens G – Tom Stross. 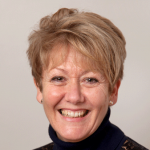 Our Ladies club captain is Judy Grimshaw. 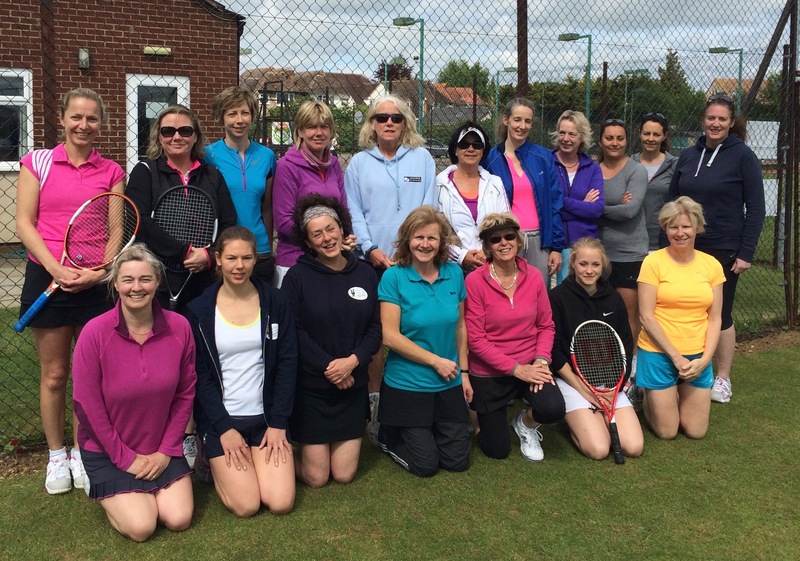 In the summer we have 5 Ladies teams in the Oxfordshire league. In the winter we have 6 Ladies teams in the Oxfordshire league. Ladies A – Maxine Perkins. Ladies B – Briegeen Dolby. Ladies C – Nicky Maskens. Ladies D – Catherine Jackson. Ladies E – Sarah Randolph. Just running in the summer, we have 5 mixed teams in the Oxfordshire league. We’re always looking for more Men and Ladies who are keen to play mixed matches. Mixed A – Emma Tolson. Mixed B – Maddy Mitchell / Dave Rooney. Mixed C – Sarah Lacey. Mixed D – Mark Wilkinson. Mixed E – Steve Smith. All matches take place at weekends and are usually on Saturday or Sunday afternoons with a 1pm start. 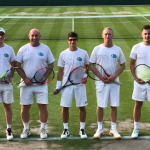 All the Oxfordshire Babolat Summer League 2018 fixtures for our club are on the Oxfordshire League Website.